Interested in the night shift? You’ll probably make more money. Working the graveyard shift can be grueling, particularly if you’re used to napping on the job on a traditional schedule. However, although employers aren’t required to pay more for night shifts, many workplaces will pad employees’ paychecks to entice them to exchange their pillows for less desirable hours. Take a look at 10 professions that typically pay a premium to employees willing to work the night shift. If you happen to be in one of these fields, consider lending your expertise after dark. It might be worth switching up your current 9-to-5 for the extra pay — especially if you’re a night owl. Click through to discover odd jobs that yield sizable paychecks at night. Night shift workers should prepare meals in advance and eat on a regular schedule because their bodies might not be sending them the same hunger signals to dine in the dark, according to Lamwatthananon. It’s also important for night workers to set aside time to sleep when most of the world is at work, she said. The average salary for the lowest-paid 10 percent of material-moving machine operators is less than $24,130 a year, according to the Bureau of Labor Statistics, but those willing to work the graveyard shift could boost their salaries. The average salary for a night shift machine operator is $25,636 a year, according to ZipRecruiter. 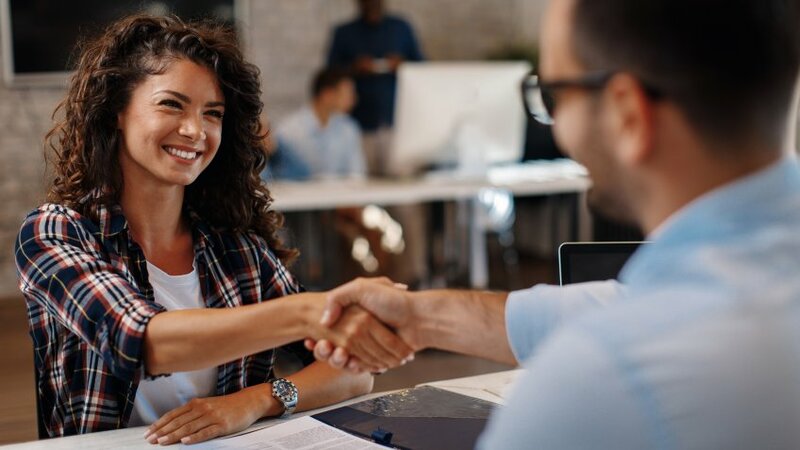 If you’re looking to make more money without years of schooling, consider applying to these higher-paying jobs that don’t require a four-year degree. Servers who work the dinner rush might not make significantly higher wages compared to those who work during breakfast and lunch, but bigger evening tips can add up quickly. Americans shell out approximately $11.14 for every midday meal they eat out, according to a 2015 Visa survey, whereas the average restaurant meal costs $36.40 per person. Diners typically leave an 18.1 percent tip, according to a January 2018 Zagat survey. If food service isn’t the right industry for you, check out this list of the highest- and lowest-paying entry-level jobs. Forklift operators typically spend their days transporting materials around construction sites, warehouses, factories, storage yards and other sites. Workers willing to take on night jobs can add a little — but not much — extra to their paychecks. The average salary for forklift operators who work overnight jobs is $27,928 a year — and $27,410 a year for those who work on a traditional schedule. Caregivers help clients with illnesses, cognitive impairment or disabilities perform everyday tasks. Pay for caregivers varies significantly: The lowest-paid 10 percent of home health aides earn $18,450 annually, and the highest-paid 10 percent earn $31,260 as of May 2017, according to the BLS. Working after-hours could help boost an entry-level caregiver’s pay: Overnight home health aides take home an annual salary of $32,098, according to ZipRecruiter. For greater flexibility, part-time employment as a caregiver is a possibility, but keep in mind that part-time jobs with benefits might be hard to find. Machinists set up and operate machine tools to produce a variety of instruments and precision parts. Signing up for the late shift could be a good way to land an apprenticeship or job in this potentially lucrative profession. Employers often pay machinists a premium — such as 10 percent — to work the night shift. The lowest-paid 10 percent of machinists earn $26,430 a year, and the highest-paid 10 percent earn $63,790 a year as of May 2017, according to the BLS. The delivery routes of heavy and tractor-trailer drivers can span several states, so workers often spend their paid time on long road trips. The salary scale for drivers varies widely: The lowest-paid 10 percent earn an average annual paycheck of less than $27,510, and the highest-paid 10 percent earn more than $64,000 as of May 2017, according to the BLS. Meanwhile, the average annual compensation for overnight truck drivers is $47,342 a year, according to ZipRecruiter. Material handlers typically spend shifts manually moving freight, stock or other materials around warehouses, grocery stores, storage facilities or similar sites — and their paychecks can vary significantly. The lowest-paid 10 percent earned less than $19,200 a year, and the highest-paid 10 percent earned more than $42,890 as of May 2017, according to the BLS. Overnight hours are common in this profession because employers usually ship goods around the clock. Night shift workers see an average annual salary of $31,984, according to ZipRecruiter. Assuming customer service representatives clock in for 40 hours per week, 50 weeks a year, the lowest-paid 10 percent of customer service representatives earn around $20,540 or less annually as of May 2017, according to the BLS. Switching to the night shift would mean a salary bump to $30,558 a year, according to ZipRecruiter . If you’re thinking about saving up additional income, take a look at the most popular side hustles that will make your salary soar. Many security officers are required to work around the clock, guarding secluded areas or keeping an eye out for rowdy patrons at crowded clubs and casinos. The lowest-paid 10 percent of workers in this field make $23,010 or less per year, according to the BLS. But, the graveyard shift for security guards pays $29,333 a year on average, according to ZipRecruiter. For people in government jobs under the Federal Wage System, the night shift differential helps ensure that employees who work the majority of their regularly scheduled, non-overtime hours between 3 p.m. and 8 a.m. receive higher compensation. The amount of that bonus depends on the exact shift. For example, employees who work from 3 p.m. to midnight earn a 7.5 percent differential on top of their base pay, and employees who take the 11 p.m. to 8 a.m. shift net an extra 10 percent. Click through to find 30 jobs that didn’t exist 30 years ago.